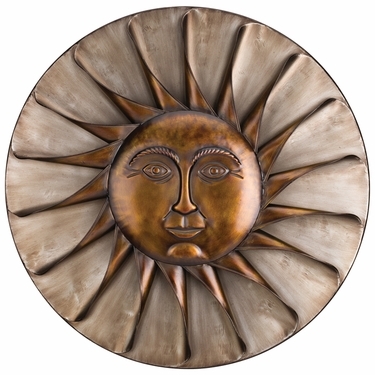 The impressive El Sol Wall Decor has a striking bronze finish and compelling facial expression. The three-dimensional depth of construction gives the piece a dynamic quality. Hand painted metallic finish can be enjoyed both indoors and out. Place this all metal sun indoors, in your office, by your patio, or outside on a wall or fence in your garden for a bold and powerful look!